Looking for a way to jazz up your tuna sandwich? This recipe will surely knock your socks off. 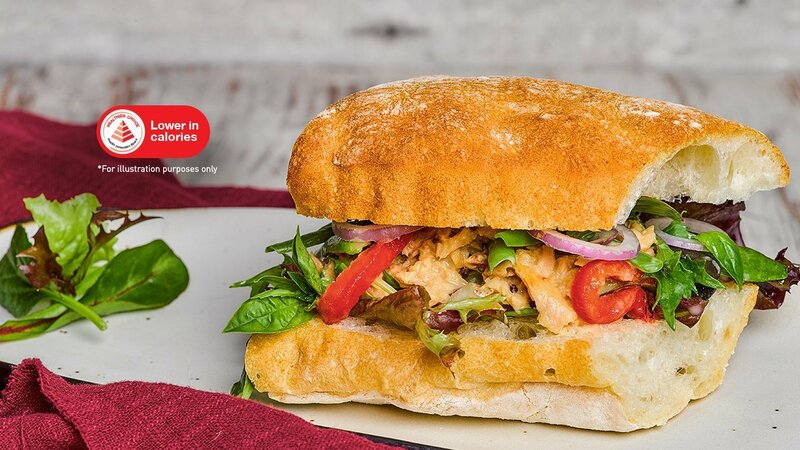 Full of flavour and freshness with a delicious crunch in every bite, this healthy sandwich is perfect to take with you next time you go to the park or beach. Baked the Ciabatta according to the description on pack. Slice the onion and bell pepper into rings and tomato into quarters. Combine the haricot, tomato, onions and bell pepper with the drained tuna. Bring to taste with Best Food Honey Mustard Dressing and add the olives. Slice ciabatta into halves, top with mesclun greens, basil leaves and sandwich filling.